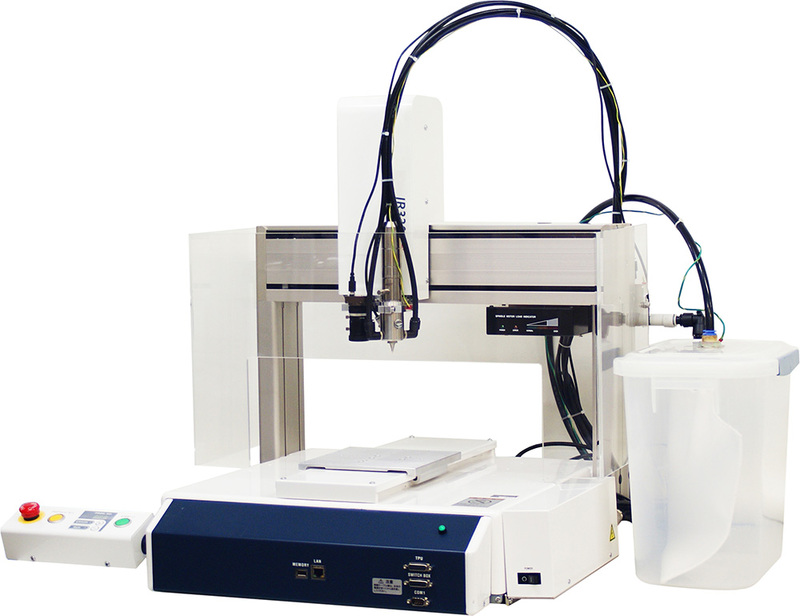 Apollo Seiko introduces a new line-up of three axes desktop robot models with integral position detection encoders. An electric router with exclusive and easy to use software and high powered dust collection kit are included. A glass epoxy or standard FR-4 PCB equal to or less than 1.6 mm thickness can be cut while monitoring the router bit sharpness. This capability reduces faulty cutting situations. With the addition of a router life sensor and a USB camera teaching function (option), the J-CAT GRT is much more efficient and allows for a more stable process. Three models of PCB cutting robots are available.